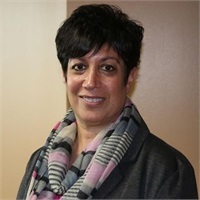 Michelle Parisi | APC Financial Group, Ltd.
Michelle will be joining Soprano Accounting and Tax Services in 2019. She will continue to provide our clients the quality experience you have come to expect. Michelle graduated from Arizona State University with a degree in Communications and Marketing. She worked for American Airlines as a Flight Attendant for 15 years. She has prior work experience as a tax assembler at Abrix Group in Northbrook. She joined APC Financial Group in October of 2014. Michelle has a daughter who is a recent graduate of Purdue University and lives in Chicago. She also has a son who is attending Purdue which makes her and her husband huge Purdue fans. This associate and the services she offers are not affiliated with Cetera Financial Specialists.